My Gosh! Everybody is aiming for a Zhu baobao this year. Okay. I admit that I’m old already. Trying to get a baby is normal right? Especially coming 2 years of my marriage. Any tips to do before getting pregnant? Previously I heard something like to take folic acid? Eh. Mayb cannot tio Zhu bao Bao already lah. Cos I’ll jiayou OT during my marriage leave break which is during March. #dayremummies I hope I can change my job before getting a baby. 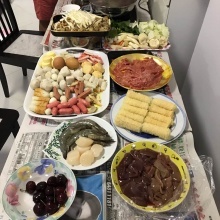 Craving for brunch during the first day of cny. & I wish round 1 reunion dinner start ASAP! So that I can go for round 2 earlier. 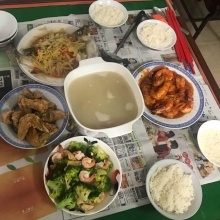 Can’t wait to 回娘家！ all the good food are all waiting for me me me and me! Hmm. Starting early is good. But sometimes I’m wondering if it’s really too early to start. I’m starting in jan when I wish it could end in may or even earlier. Im dying to find new jobs now. Join our community! Download the app, and get updates from kilymily. Remove this bar by logging in.